What do you get if you cross a bunch of bananas with a water lily? 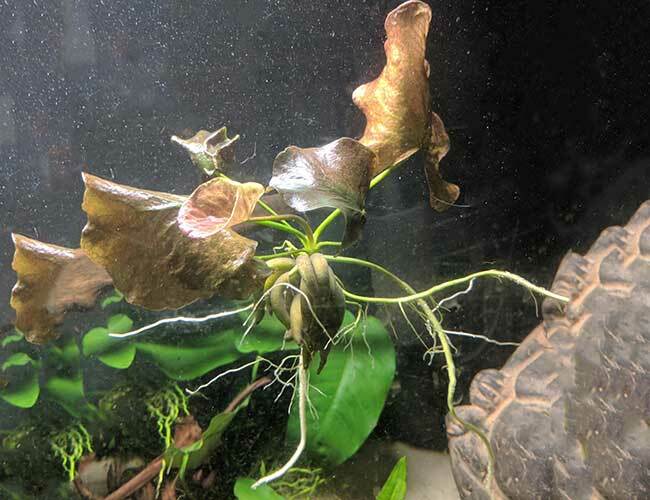 If you are looking for a unique yet easy-to-grow aquarium plant, the banana plant is exactly what you are looking for. And today, I am going to teach you everything you need to know about them. What are other names for banana plants? 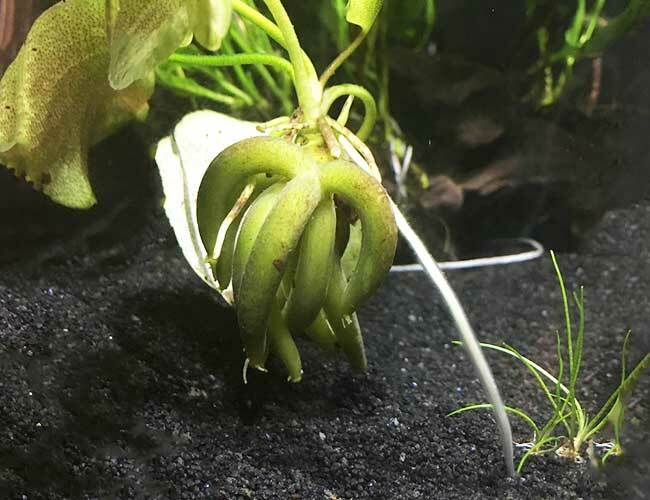 How do you identify an aquarium banana plant? How do you plant an aquarium banana plant? 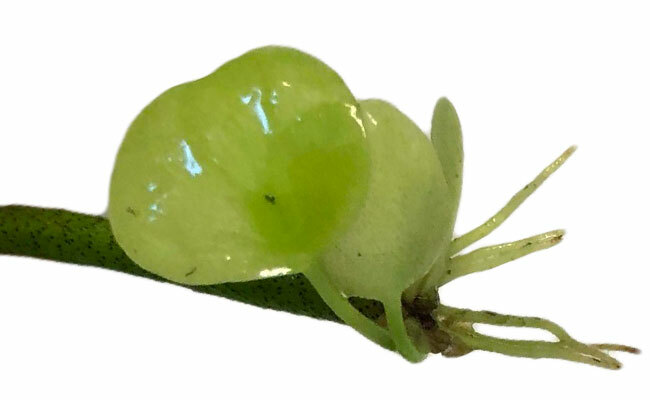 This unusual plant is native to the south and southeast of the United States and is typically found in lakes, ponds swamps and slow rivers. In Maryland, the banana plant is such a rare sighting in its natural habitat that it is classified as endangered. While the banana plant may be a threatened plant in its natural environment, you won’t have any difficulty tracking down a seller, should you want a banana plant in your aquarium. Don’t worry! Banana plants are grown from cuttings of established banana plants and are not collected from their native habitat. 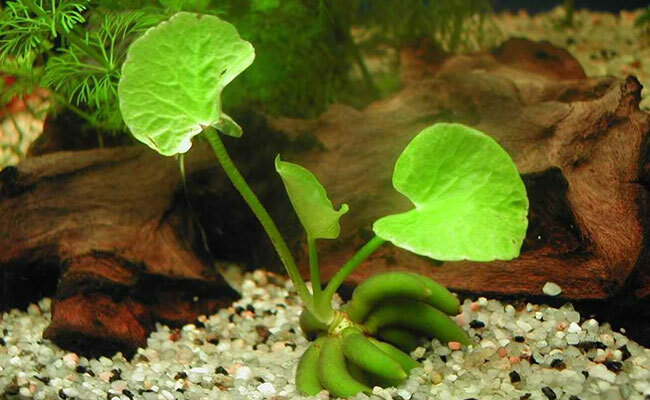 But among the aquarium community, this plant is usually referred to as the aquarium banana plant or by its scientific name Nymphoides aquatica. These thick tubers are the part of the plant where the nutrients are stored. Many beginners confuse the tubers for the roots of the plant. However, this is not the case, and if you plant the tubers under your substrate, they will soon rot. 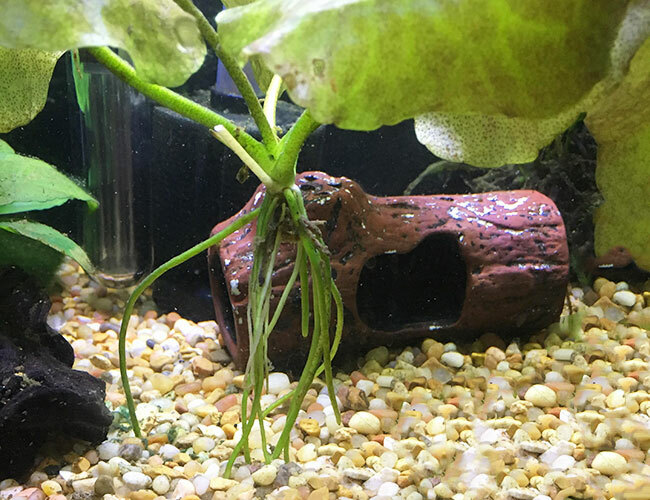 The roots of the aquarium banana plant actually grow from the stem of the plant. And as you would expect, they look more… rooty. The thin roots grow downward, toward the substrate and are either white or light green in color. Now, the leaves are where things get interesting. While it will produce multiple leaves that stay underwater, the banana plant will shoot a runner toward the surface of your aquarium. 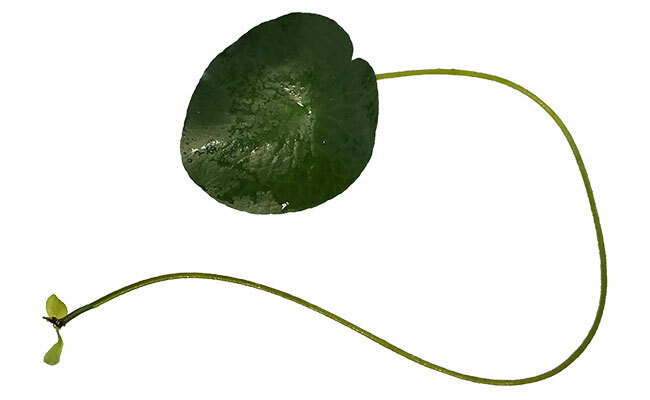 Within a week or so, you will have a lily pad sitting at the top of your aquarium. That’s a long stem, right? I have seen these stems grow as long as 28 inches! Although they are typically light to dark green, it’s not uncommon for the leaves of a banana plant to have a patchy red color. Want to know something cool about the banana plant? It can either be left to float or you can plant it in the substrate of your aquarium. A healthy floating banana plant takes more effort than one planted in the substrate, and liquid fertilizer is a must. Curiously, a floating banana plant will eventually produce roots that will grow down into your substrate, anchoring it into place. I have seen these roots grow as long as a foot! Below, you see an example of a floating banana plant with its roots seeking out the substrate underneath. 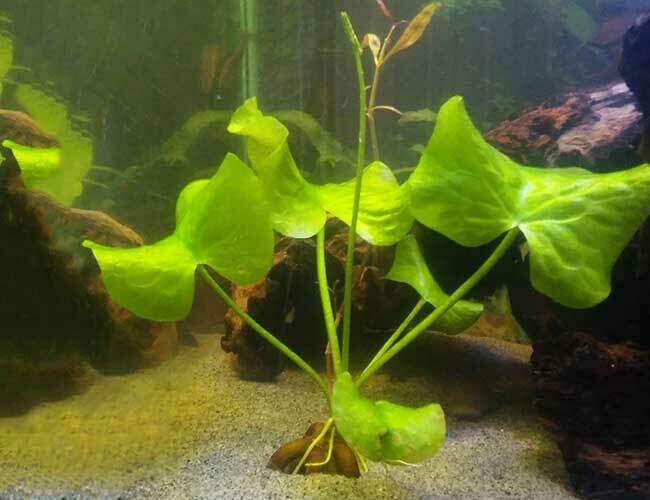 For beginners, and those of you just looking for an easy-to-grow plant, I recommend planting the banana plant in the substrate of your aquarium. If you are planting in soil, no fertilizer is required because the soil will provide all the nutrients your banana plant needs to grow big and healthy. Sand and gravel, on the other hand, do not provide the same nutrients. If you want to plant your banana plant in either of these substrates, then I recommend using root tabs. Simply push a root tab into the substrate near the root of your plants, and it will release all the nutrients your banana plant needs to grow! Be mindful, however, that no more than 1/3 of the banana-like tubers should be buried in your substrate. Any more than that and the tubers may begin to rot. Don’t want your banana plant to float? Keep it in place by using a plant weight, glue or even tying the banana plant to a rock. Once the banana plant’s roots are established, they will be able to hold the plant down. At this stage, your weight or tethers can be removed. Note that in some instances, the roots have been known to lift the banana plant up, making the plant look like it’s floating in mid-air. Well, mid-water, anyway! As for lighting, banana plants grow well under both low or high light. However, if you want to see the banana plant grow its heart-shaped lily leaves on the surface, then medium to high light is best – in low light, the leaves are likely to stay submerged. In fact, in an aquarium setting, many hobbyists choose to stunt the growth of the plant. The reason? The leaves that surface might look pretty, but they can pose a problem to the other plants in your aquarium by blocking out the light. By lowering the light and temperature and skipping the CO2, you can simulate winter conditions. The result is smaller leaves and shorter stalks, meaning you don’t have to worry about the banana plant taking over your tank. Alternatively, a quick snip with a pair of scissors and the lily and stem are removed from your banana plant. Lighting can also affect the color of your banana plant. In low lighting conditions, the banana plant will have a dark green coloration while medium to high light will see it turn a light-green color. As for temperature, let’s just say there is a reason that the banana plant prefers to grow in the southern states of the US – the climate. Banana plants prefer warmer temperatures, making it a great addition to your tropical tank. Even so, the banana plant will tolerate temperatures as low as 50°F (10°C). However, its growth will be stunted. Finally, there’s water movement. Banana plants typically grow in slow-moving rivers, creeks and ponds. As you might have guessed, this means that they don’t like fast water movement where the current will blow the lily pads around your tank. So, reduce the flow rate of your filter, if necessary. Why buy more banana plants when you can grow them yourself? Once your banana plant has shot a runner to the surface, wait for the lily pad leaf to unfurl. Once mature, cut the stalk off so that at least 4 inches (10cm) remains. You might even notice the beginnings of new leaves starting to grow. Now, all that is left to do is to plant the roots in your substrate. For the best chance of success, your tank needs to meet the recommended growing conditions – low water flow, dosing liquid fertilizer and medium to high lighting. 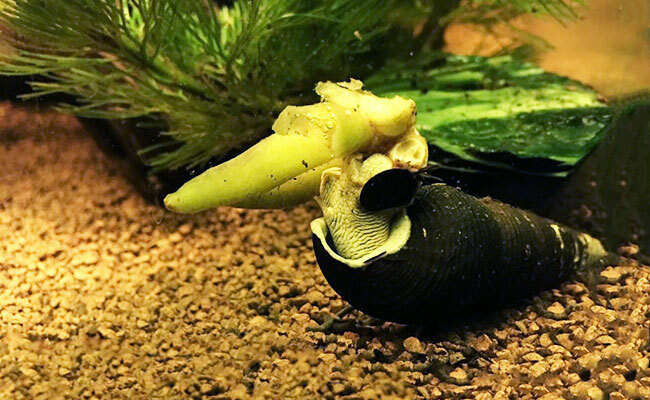 Snails and plecos are both known to chomp on banana plants. If you come home to discover your banana plant has been devoured, there is a good chance that one of these two are to blame. There are two theories behind this. The first is excess nutrients. The banana-like tubers are where the plant stores its nutrients. If the roots are pulling enough nutrients out of your substrate and water, then there is no need for the tubers, and they fall off. 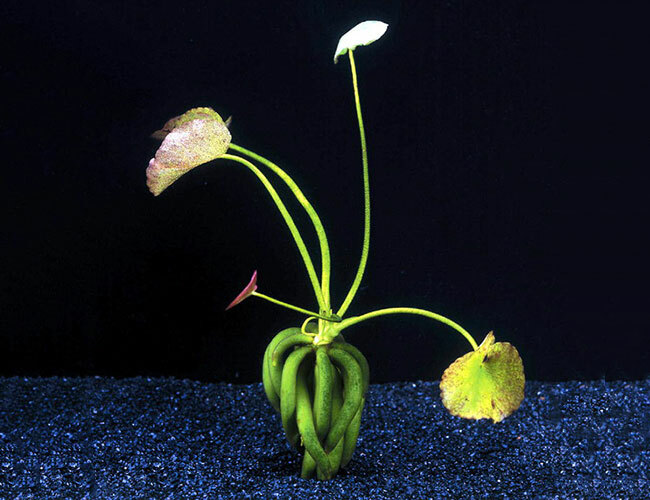 The other is that the plant isn’t actually a Nymphoides aquatica but instead a plant that looks incredibly similar, Nymphoides mexicana, which sheds its tubers. In either case, the tubers falling off does not mean that your plant is unhealthy or dying. If the leaves, stalks and rhizome all look normal, and growth is consistent, then there is no need to act. If you are looking for a plant that is easy to take care of, look no further than the banana plant. The best part is that once you have one, you can easily grow more! 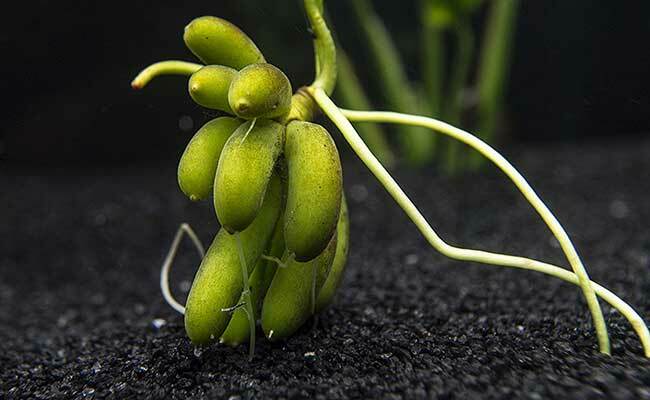 Do you have banana plants in your aquarium? Let me know in the comments below! I bought 3 banana plants 9 days ago. 2 in one tank and 1 in another. It had no white roots and 2 leaves. It now had white roots that are 4 inches long and has 5 leaves. Is this normal? Im new to aquariums and live plants. I think i like my plants more than the fish lol. If your banana plant shows no signs of rotting and or color loss then this sounds perfectly normal. 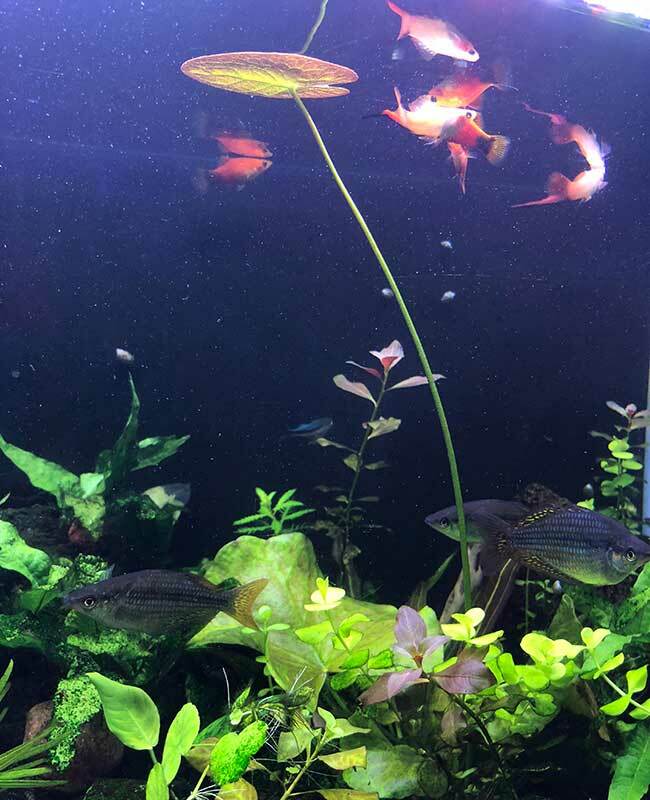 I share your love of aquarium plants, they are like a magical underwater garden! Do you just drop it on top of the substrate (I have seachem fluorite gravel for planted tanks),or do I partially bury the banana tubers? If you are dosing with fertilizer you can float it. If you are relying on the substrate for nutrients, bury the tubers so that no more than 1/3 are covered. Can anyone answer this, if you cut the lily pad off to grow another plant will that stem sprout a new leaf. I recently purchased 2 bannanna plants, one had 1 lily pad and three stems that were obviously cut to produce new ones before being sent. Do i leave the bare stems be because they will grow new leaves or trim them off at the ryhzomes because they are now just stems? I’d just cut the stems back, or leave them. It makes no difference. Based on my experience, mine have never re-grown the leaf once it gets cut. The lily pad leaves seem to be dying but the tubers keep sending up new ones, should I cut off the dead ones? If it was me, I’d be cutting off the dead ones. Very clear language, great pictures and right to point. Can you do more plant guides? Glad I could help. I do have plans for more plant guides in the future, do you have any suggestions? Some tubers do darken in color, it’s normal. If they are darkening to the point of rotting, there may be something else at play. Have you checked your water parameters and made sure they fall in line with your banana plants preferred water? In my experience these are highly seasonal plants – maybe its according to the temperature but mine always blew up in the summer then hibernate for the winter. Of course they sell these in pet shops and tanks are always indoors so always try to simulate the seasons a little bit helps. I remember when I first purchased one I put it in a flourishing and meticulous planted tank and everything but it was growing out of control until 8 months later when spring started warming up and it just blew up with 5-6 runners coming to the top- which then fell off again when it got cold again. That’s very interesting, I have never kept these in a tank where water temperature has not been constant. Of course it makes sense in a natural environment a plant would go through a cycle of growth according to season. With that said, I have also never had a problem where growth has been worryingly stunted. The ability to vary the season would entirely depend on the water temperature preference of the fish you also keep in a tank. It would make for a fun experiment in a purely planted tank though. I recently bought a banana plant and I love it! The only thing was that I wished that the tubers were shorter. Is there anyway I can cut or trim the tubers without harming the plant? Thank you very much. You actually have me stumped. I have never had experience with this and I have never seen someone attempt it. I don’t think my niece would appreciate it if I experimented on hers banana plant either. If you were to cut all of them I believe that it would lead to the death of the plant. I’m happy for anyone else with experience reading this to jump in and say otherwise! Could you bury them 1/3 into your substrate instead? It will give the appearance of shorter tubers. Mr. Sterling, thanks for the article. One question. Can you speak to the amount of phosphate or manganese that these plants need for good growth? Not with confidence. Anecdotally, my niece has a banana plant in her tank, and her phosphates are around 3 ppm. While it’s a relatively new addition, it’s already shooting a runner to the surface. No need to publish my comment, but thanks a lot for this awesome article! Very descriptive. Appreciated. Thanks for the lovely feedback – it inspires me to make more detailed guides on aquarium plants in the future.